DESCRIPTION: IWS’ first job in South Carolina! 7,500 GPD wastewater treatment system with 3 Orenco AX-100 Advantex pods, 10,000 gallon recirculation tank, 5,000 gallon wet well and a retention pond. Although the initial geographic focus for IWS has been the Western US, we recently completed our first East Coast project in South Carolina, with more projects in the pipeline. 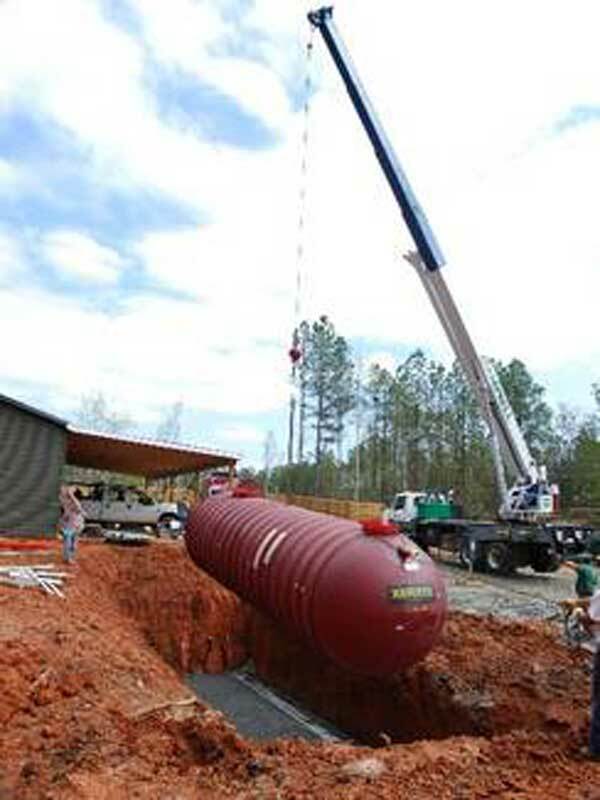 In April 2008, IWS completed construction of the wastewater treatment facility at Cane Creek Motorcoach Resort in northwest South Carolina, located on the shores of environmentally sensitive Lake Greenwood. 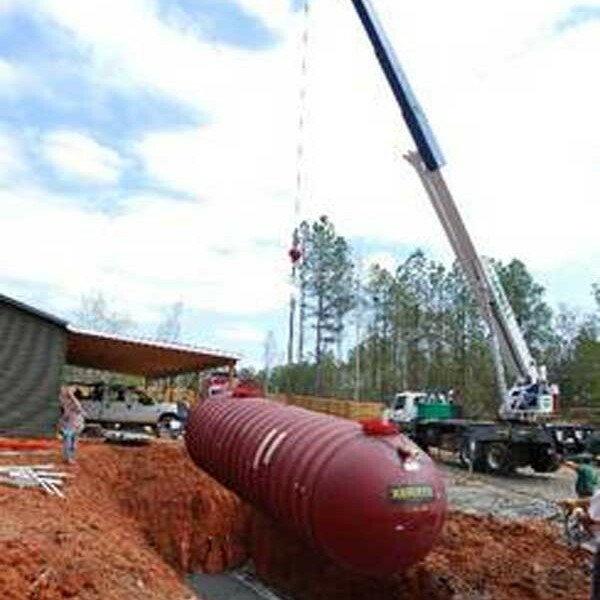 This was one of the first commercial centralized AdvanTex treatment systems permitted and constructed in South Carolina.Project OverviewCane Creek Motorcoach Resort is a new Class A motorcoach destination in South Carolina. The facility has over 80 spaces and includes a club house with a heated swimming pool. Due to the environmentally sensitive Lake Greenwood and State of South Carolina regulations, the owner was obliged to implement an advanced wastewater treatment system to serve the project.IWS Saves Client CostIWS worked closely with the engineer during the design process to provide constructability analysis and optimize material selection. The close collaboration between IWS and the engineer substantially reduced the cost of the treatment system. To help reduce overall construction costs, IWS teamed with a local excavation contractor. IWS provided all other IWS Completes First East Coast Project in South Carolina www.integratedwaterservices.com Cane Creek Motorcoach Resort IWS setting Xerxes treatment tank “IWS did a great job and completed the project on schedule and within budget”. Mel Weaver, Owner Cane Creek Motorcoach Resort manpower and resources for the construction of the project. IWS also worked with Lowell MacNutt of Coastal Carolina Wastewater Solutions, LLC (www.ccwastewater.com) who is the Orenco dealer for South Carolina and was the supplier of the treatment equipment for the project.